NBA star and Liverpool shareholder LeBron James has reportedly asked the Fenway Sports Group to sell Philippe Coutinho to Barcelona ahead of the summer transfer deadline on Thursday, according to shock reports from Spain. Coutinho has asked the Reds to allow him to move to Catalonia, but so far, Liverpool have yet to grant him his wish. The Blaugrana invested part of the fee they got from PSG for Neymar in Borussia Dortmund’s Ousmane Dembele, and this late in the transfer window, a move for the Brazilian seems unlikely. James’ influence should not be underestimated if he did ask FSG to open negotiations with Barcelona. Liverpool’s owners hold his lucrative global image rights, and that’s something they will not wish to risk losing anytime soon. 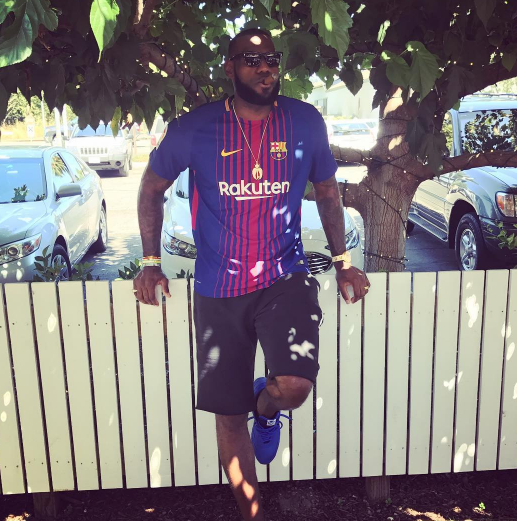 The Cleveland Cavaliers star is a global icon and one of America’s most popular athletes, and he’s widely rumoured to be on his way to the Los Angeles Lakers in the near future.